Yesterday I did something that I swore I would never do — I swam in Hong Kong. Before you go accusing me of being a snob, I have good reason for wanting to avoid dipping in the salt in the South China Sea. It’s no secret that the waters surrounding these beautiful islands are incredible polluted. Due to our proximity to the Pearl River Delta — the main river that runs through southern China — we are open to an array of industrial pollutants that get dumped illegally, or perhaps even totally legally, from the thousands of factories that operate in this region to produce everything, from the cheap assed plastic keyboard buttons that keep popping off of this $2000 Macbook to the cheap assed yellow flip flops that I wear on the beach. We all depend on China, every one of us. There isn’t a day that goes by that we don’t enjoy the cheap produce that comes out of China. Clothes. Shoes. Windshield wipers. Toys. Baby books. Hair dryers. Iphones. Toothbrushes. Zippers. CDs. Printer cartridges. And in many cases, food too. All of these things come at a price. And nowhere is it more apparent than in Hong Kong, where due to our proximity to the industrial armpit of China, we often suffer the effects of the Made In China era. Many say, however, that it is easy to just blame China. The mainland makes an easy scapegoat. We do have our fair share of domestic pollution, sure. From landfills, incinerators, 35-year-old buses belching exhaust fumes on the road, etc. That is all true. 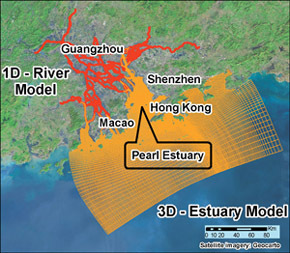 But when it comes to water pollution, nothing beats the Pearl River Delta. Yesterday it was a whopping 35’C at 9am. It is fricking hot, yo. And what can you do, if you have a toddler who demands and needs fun things to do? So I attended a friend’s BBQ on our local beach. The beach was looking quite lovely. I asked my friends, ‘how’s the water?’ They replied, ‘Oh just lovely pet! You should go in.’ So I changed into the swimsuits and went in. Ugghhhhh. Eewwwww. Yuccckkkkk. I refused to submerge myself. And no way I was putting my head under that water. The kiddo loved it, splashing around. Go figure. But I just couldn’t stop thinking to myself, this is gross. We didn’t stay in for very long, and the second we got out of the sea, we went straight to the bathrooms to wash off in some fresh water to get all the gunk off. How is it that people can swim in Hong Kong? I know that Trinidad beaches have their fair share of problems. For example, the Maracas village is not connected to any sewerage line which means that all sewerage and waste water goes into the rivers which then flows right down into the most popular beach in Trinidad. But, somehow, it seems worse in Hong Kong. 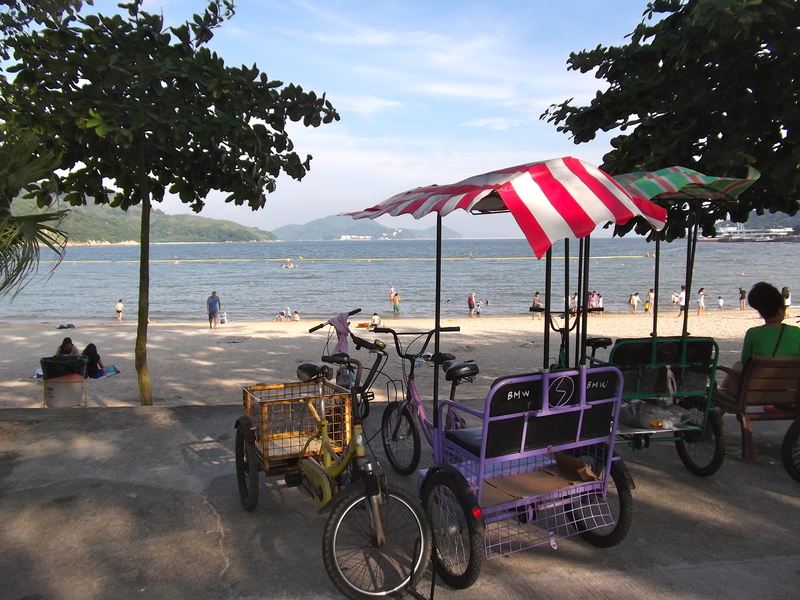 It’s a shame that Hong Kong’s beautiful beaches are so polluted, and that most of it is due to pollution from the Pearl River. But as long as we are happy to keep buying cheap goods produced in China, I suppose that is the price we will have to pay. Hello,Traveling Trini. It’s been a while since I visited your site and I see you’ve had a big change in your life. Congrats on the motherhood. And it’s good to see you still writing on your site.